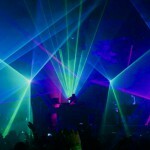 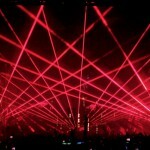 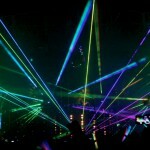 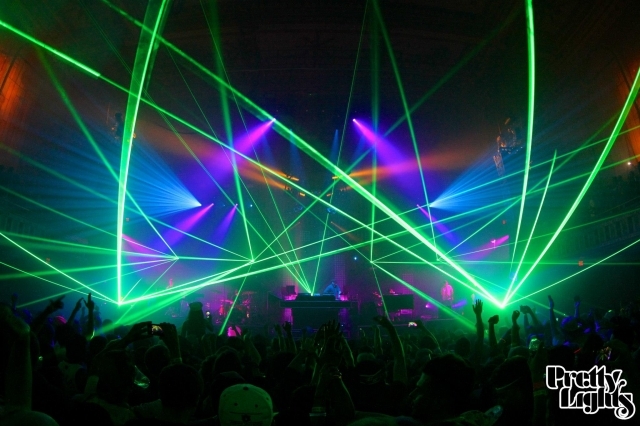 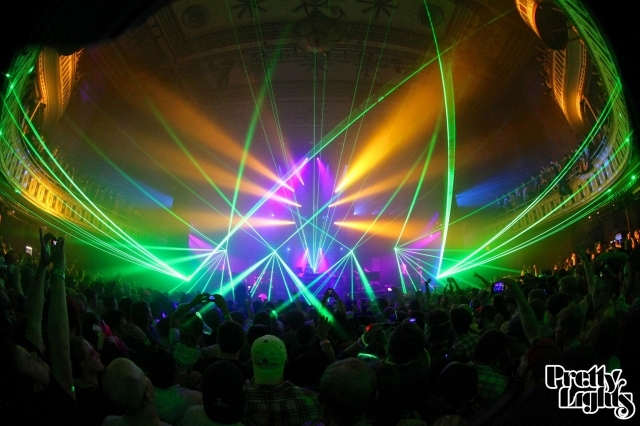 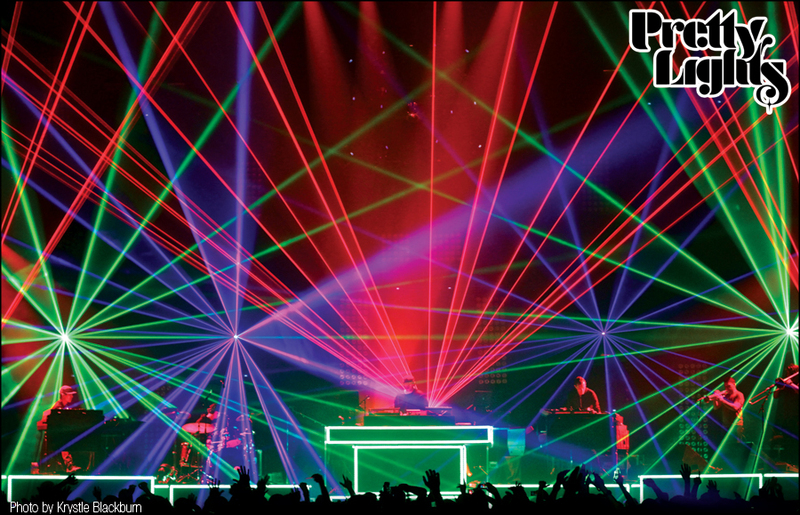 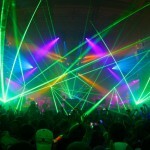 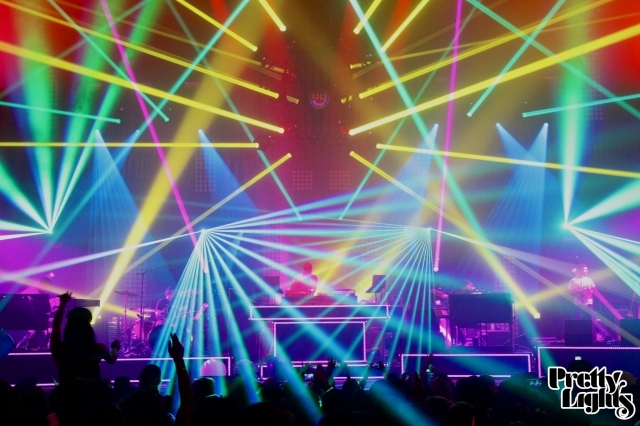 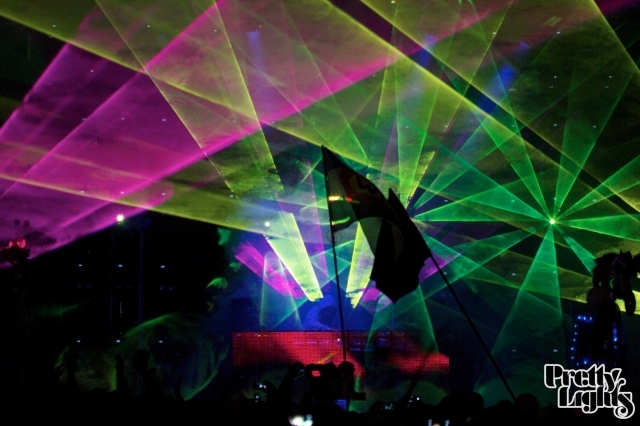 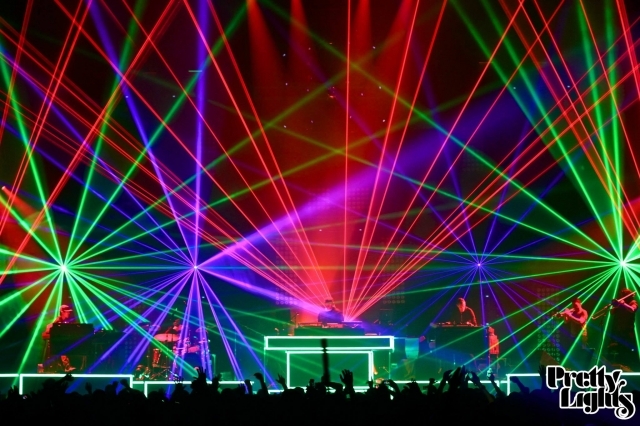 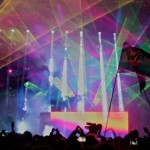 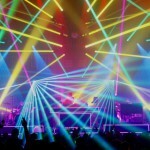 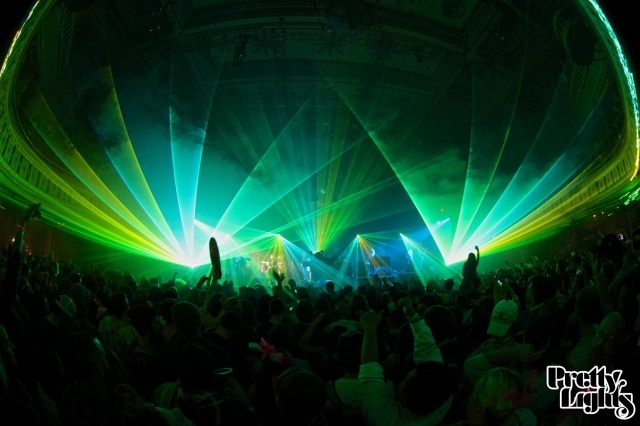 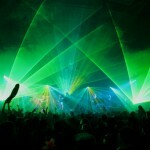 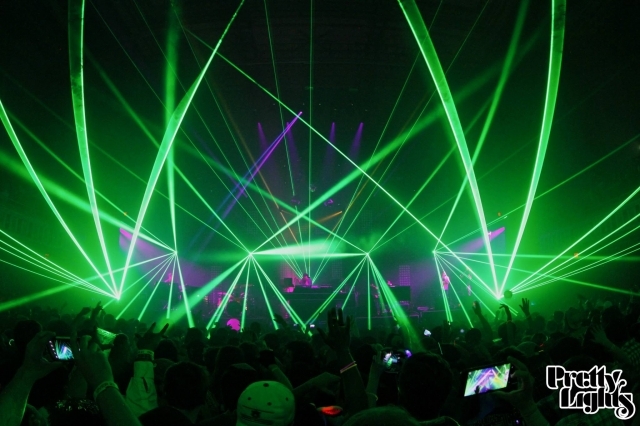 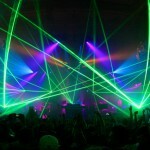 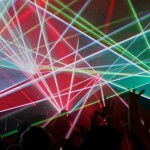 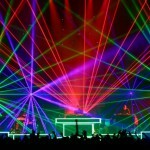 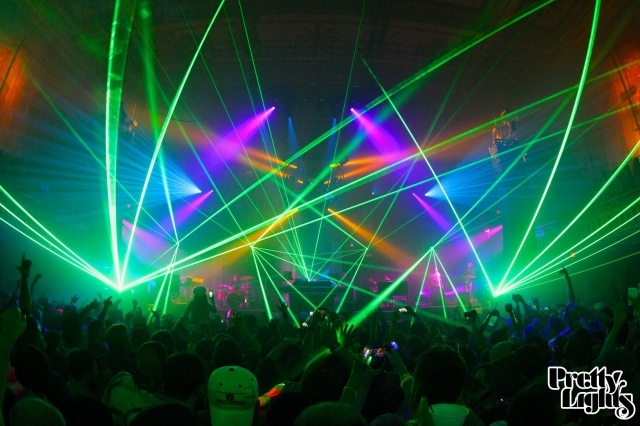 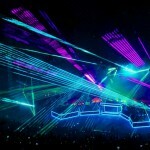 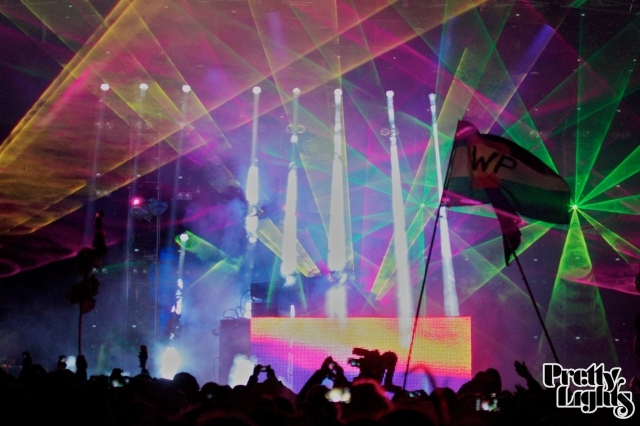 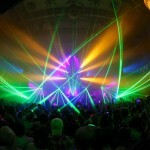 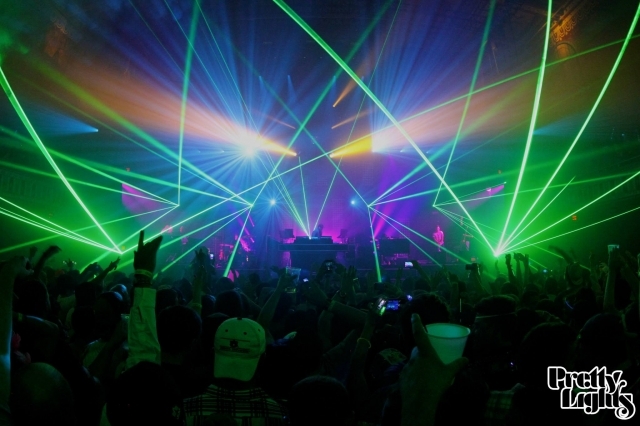 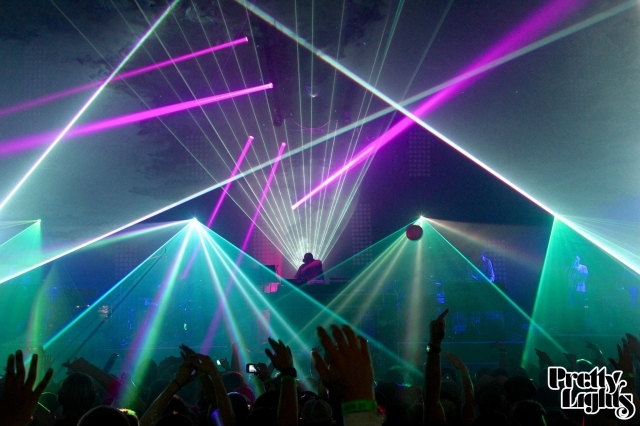 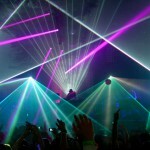 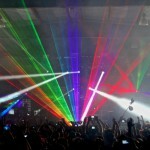 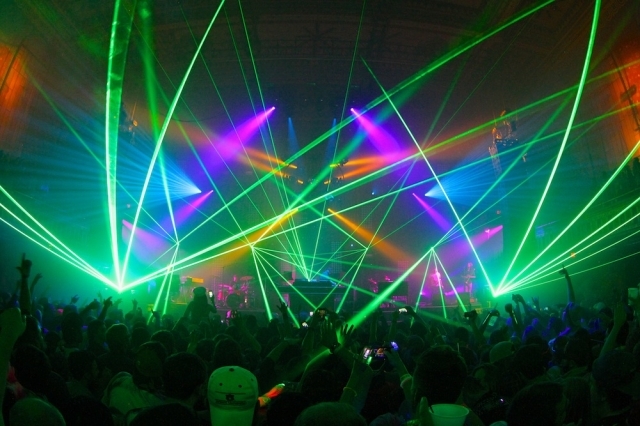 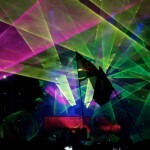 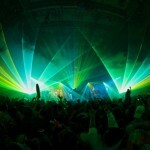 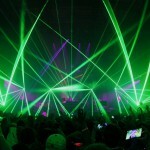 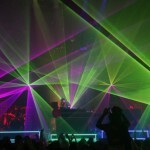 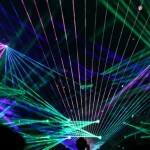 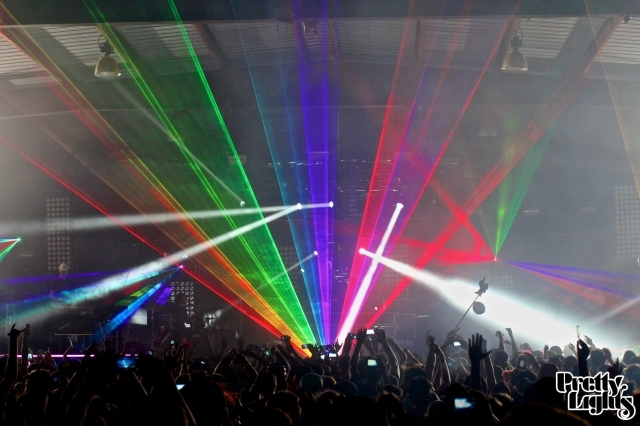 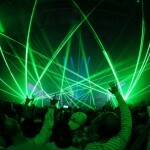 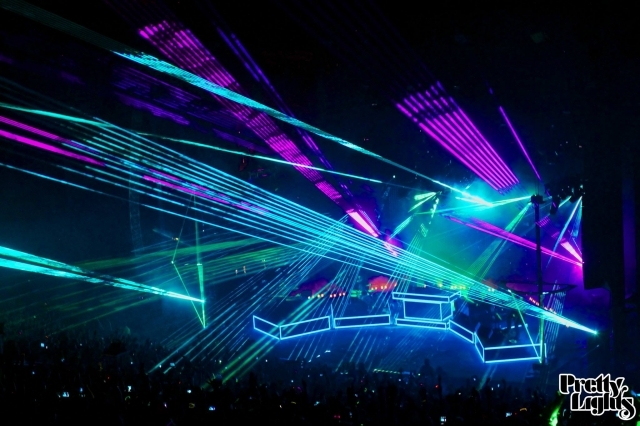 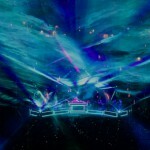 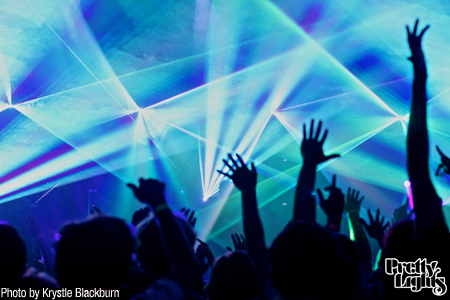 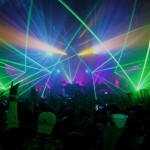 Lightwave International tours with Grammy nominated Pretty Lights providing audience scanning laser special effects. 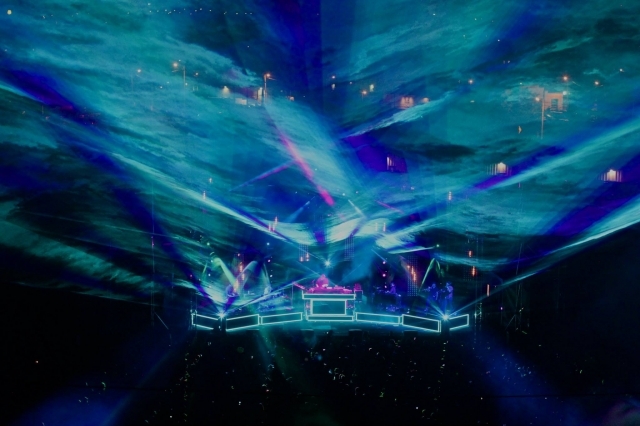 Lightwave International helps Derek Vincent Smith evolve visuals as impactful as his music. 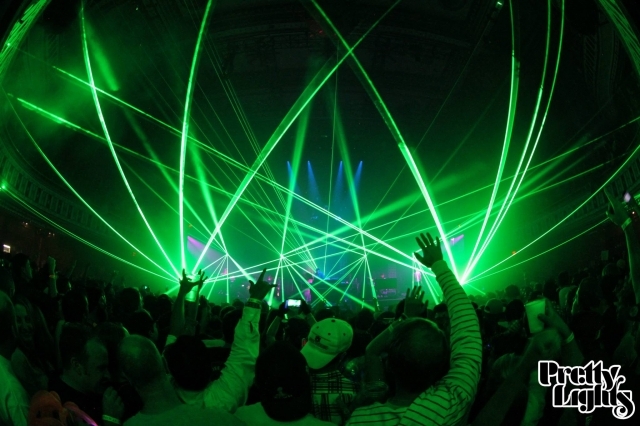 An early touring adopter of FDA varianced audience scanning, Pretty Lights fans don't only see lasers, they become immersed in them. 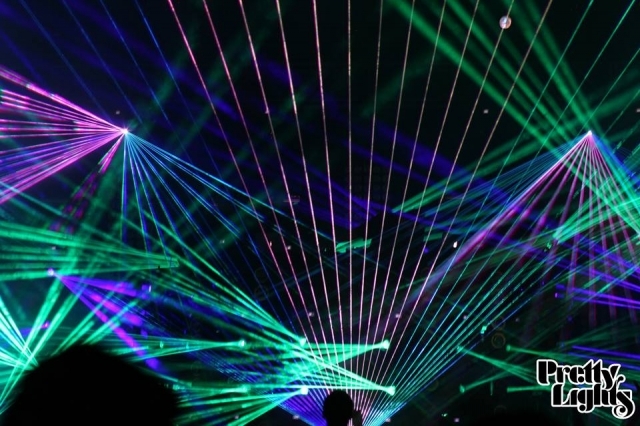 Bridges of spectacular laser light connect audience to stage for an incredible and memorable experience. 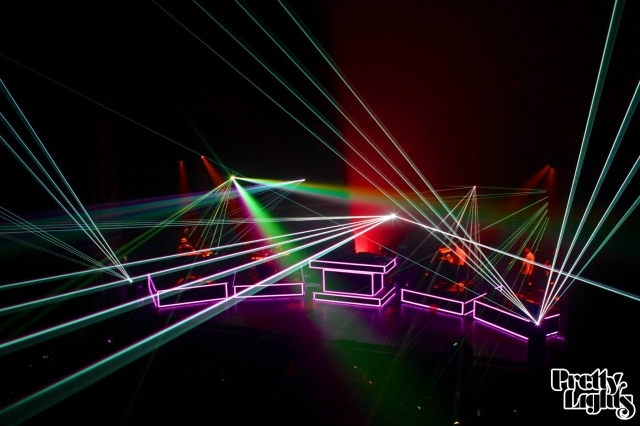 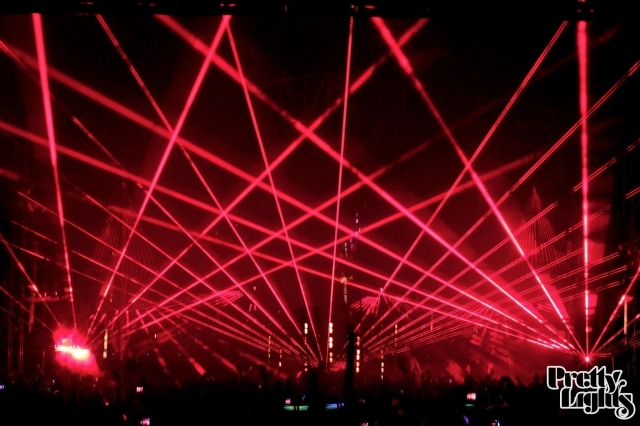 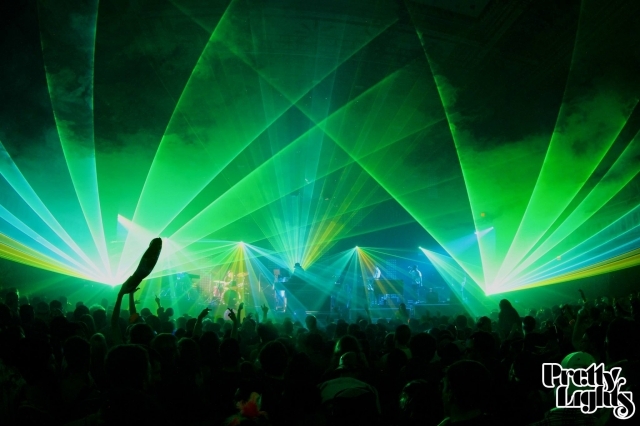 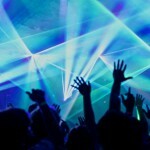 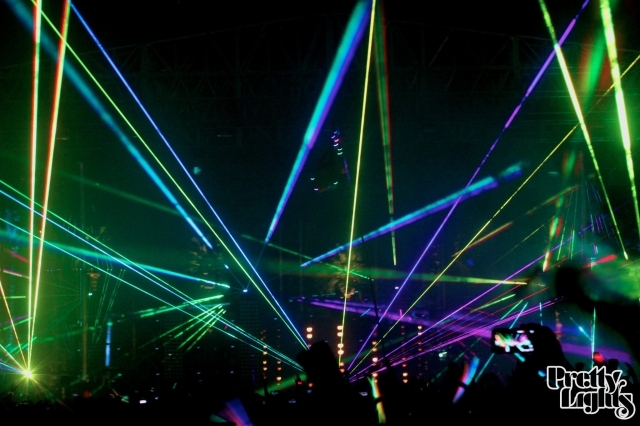 Lighting designer Greg Ellis directly controls custom built Lightwave laser effects via DMX. 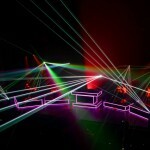 Lightwave Laser technician Neal Nance ensures equipment operation and safety at every performance. 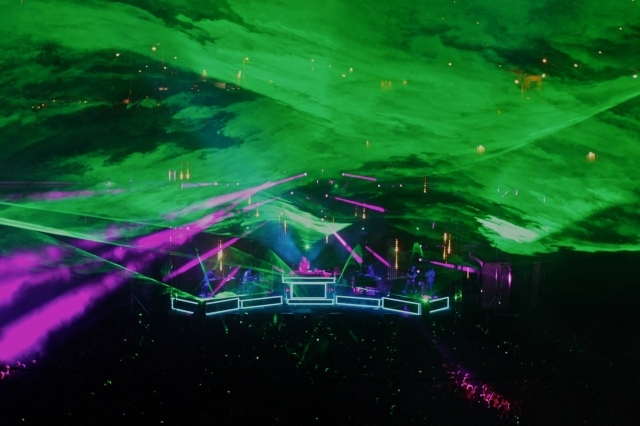 A sold-out show playing to thousands of people is typically a reason to celebrate. 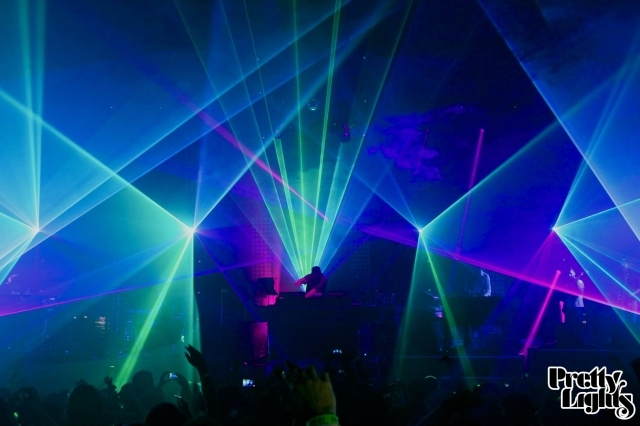 But for Derek Vincent Smith – better known under his moniker as the innovative electronic-music producer Pretty Lights – it led to a creative crisis of conscience. 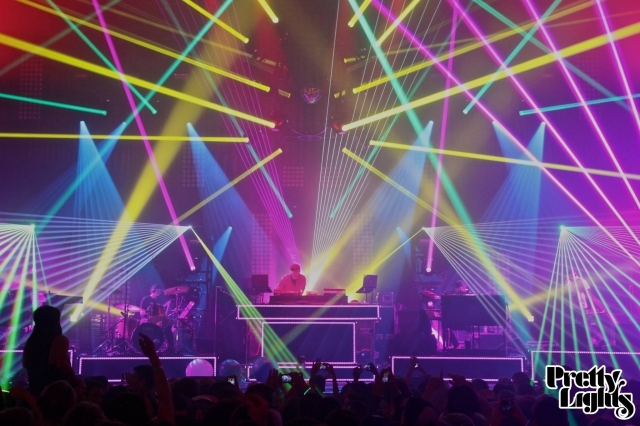 As he headed offstage during one of the final shows of Pretty Lights’ 2010 fall tour, Smith found himself caught in a moment of introspection that would prove life changing. 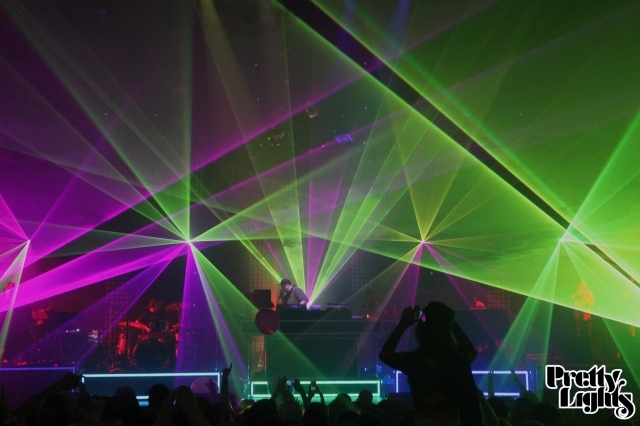 “I’d been spending a lot of time thinking about the state of the music scene I’m part of,” Smith explains. 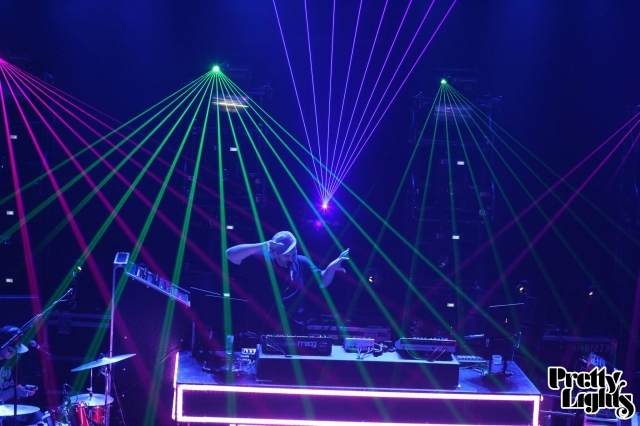 “Right then, I decided to step it up in all aspects. 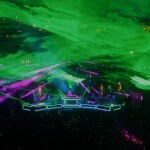 I needed to make an album that showed that it’s not all about making everything in the computer – a history lesson, but still utterly contemporary.” That initial concept would lead to not one but two new Pretty Lights albums – A Color Map of the Sun and its essential companion, Live Studio Sessions From A Color Map of the Sun – to be released on July 2, 2013. 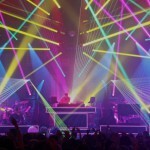 The creation of these two symbiotic works would ultimately find Pretty Lights rewriting the rules for making electronic music – and indeed embarking on one of the most ambitious, labor-intensive musical projects in recent memory. 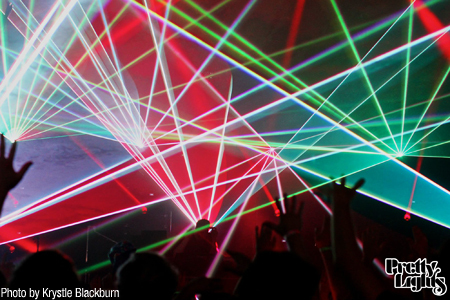 All photos by Krystle Blackburn.